Egg hunts have started. Pastel bunnies fill stuffed animal bins, and baskets line the shelves every time you go shopping. Easter is officially on its way! The highlight for children is, of course, the Easter Bunny himself. Make sure your family gets to visit with him this season at any of these places in Sarasota. Find the mascot for Easter in a model of his native habitat at The Mall at University Town Center now through April 20 beginning at 11 a.m. every day. Children will be able to see the 24 Carrot Bank, the Hare Salon, and the Hoppin’ Fresh Bakery. Bunnyville creates the perfect photo opportunity, and photo packages start at just $29.99. On April 14 from 12 to 5 p.m., dress you and your family in your best springtime threads. Head over to Westfield Sarasota Square to take a photo with the Easter Bunny. You’ll be able to take home photos you can cherish all year long and for many Easters to come. 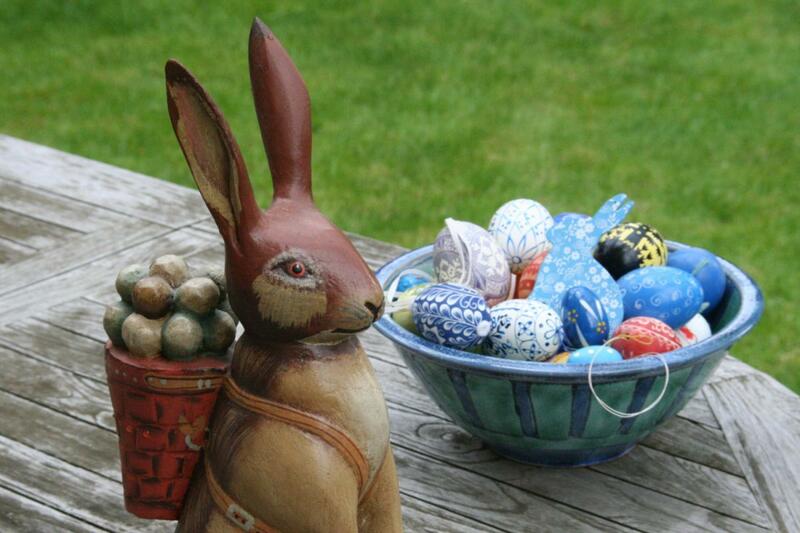 The Easter Bunny will take a small break from 2:30 to 3 p.m. If you’re looking for a visit that involves more than just photos, take the family to Burnt Store Market on April 13 from 11 a.m. to 2 p.m. With a bounce house, Easter games and activities, face painting, and snacks, this is an event your children won’t want to miss. They’ll get to visit with the Easter Bunny and participate in all the Easter fun. Get there early because there will be goodie bags for children under 10 years old but only while supplies last. The Sarasota Jungle Gardens don’t do anything small. On April 19 beginning at 10 a.m., the gardens will be open for a petting zoo, pony rides, and face painting. As you walk the trails, don’t forget to take in all of your surroundings because there will be 45,000 eggs hidden for children to find, and of course, the Easter Bunny will be there! Photos will be available for purchase. Children ages one to eight years old are invited to attend this Easter celebration at Learning Express Toys of University Park on April 20 at 9:30 a.m. There will be an egg hunt complete with prizes and giveaways. All children will have the opportunity to meet the Easter Bunny before he begins his busy night of egg-hiding and basket-filling. Reservations are required to attend. Everyone has different traditions and ways they celebrate this joyful holiday. Add any of these events to your schedule, and start a new tradition. Whether it’s egg hunting, visiting with the Easter Bunny, or just spending time together as a family, any of these celebrations is sure to make this Easter one to remember. Register on 941area for free today to discover the Best Places for Family Meals in Sarasota!